UPDATED February 21,2019 – Ataxia occurs through a disruption in bodies equilibrium brought about primarily through a lesion in the frontal lobe. Motor ataxia is the inability to manage the coordination of the muscles. Sensory ataxia is called such because of the proprioceptive area between the peripheral nerves and the motor cortex is lost. This loss results in uncoordinated movements, that becomes more apparent when an individual’s eyes are closed. tissues, organs and lesions for treatment of Ataxia with Stem Cells. Ataxia therapy with stem cells is non-invasive (No Surgery) and permanent. 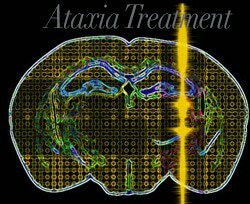 (23598976) Our Ataxia protocol seeks to repair damaged and/or diseased tissues brought about by injuries or even hereditary such as Spinal muscular atrophy. Please Note that not all patients Qualify for treatment of Degenerative Neurological conditions such as ATAXIA. Patients with late stage, severe underlying health conditions or travel restrictions may not qualify for the 2-3 week treatment protocol in Bangkok. Type of Injections for Ataxia: Clinical Grade Mesenchymal (MSC+) Stem cells from dentinchymal, Peripheral Blood, Cord tissue or Placenta/Amniotic fluid derived cells that are extracted and are expanded then delivered over a series or through stages. Delivery of cells and cytokines are done through Intravenous (IV), Intrathecally or via a lumbar puncture. Rehabilitation Treatment for Ataxia: Rehabilitation therapy is optional and can be performed 2-4 hours per day up to 6 days per week. Medical visas and accommodations packages for extended stay can also be included at an additional cost. The treatment for Ataxia with enhanced MSC+ Stem Cells will require a minimum of 14-21 days in Bangkok. Due to varying degrees of the disease our doctors will need to qualify potential patients before offering detailed treatment plan that includes an exact total number nights required along with total medical related costs excluding accommodations and flights. To begin the qualification process for our multi-stage treatment protocol please contact us today. my mom and her sister had SCA-type 1. When my grandpa had it, nobody really understood or knew what it was. When my mom started showing symptoms in her 50s, they ran alot of tests but never agreed on the final diagnosis. This was years ago so genetic testing was available. This has kept me worried and i regularly get tested becuase of my family history and found out 2 mo ago that im positive. The protein sequence shows that I will likely start showing the symptoms pretty soon i want to be proactive and try to stop the disease from getting hold. I have all recent tests and can send you. Please contact me asap. At the age of 48 I started experiencing lack of muscle control when performing strenuous exercise. It was very periodic, as I got older, the episodes became more frequent, and I started experiencing slurred speech, excessive sweating, and trouble swallowing. I also started to have episodes when I wasn't so active. My family doctor wasn't able to diagnose my problem, but I was sent to a specialist and they diagnosed it as ataxia. All medications given were not working i am now looking for an alternative stem cell treatment for Ataxia. I read in a health forum about successful treatments you have done for Ataxia patients. Ive seem alot of herbal clinic scams online and just want to get more information from you. Do you use any sort of herbs or chinese medicine for treating SC ataxia? I dont want to deal with that. Please contact me as soon as possible. My wife has SCA although the exact cause has not been located. It is familial, degenerative SCA. It is not SCA 1to 7. 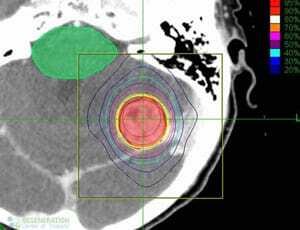 She has had an exome screen which has come up with no result. We are very interested in exploring stem cell treatment before the symptoms become worse. We have read about this treatment in both China and Thailand and are convinced of the benefits of your service compared to the ones offered in China. I also want to know why these treatments are not being offered in Australia. I have been told that I have early signs of Wernike, however is hasn't positively labled as such. Undetermined neurological disorder. I have ataxia and motor accuracy. Ativan curtails these occurances but I am wondering if stem cell therapy could be an option to replace "medication assistance". I am in the USA and have yet to find a neurologist to discuss any options to be aggressive in finding anything. HELP! I'm only 55 and have many years ahead of me. I have spino cerebral ataxia which my doctor say is neuro-degenerative disorder. We think it is hereditary since my brother also have same disease. I want to know if there is any hope for us to completely cure this disorder using your stem cell therapy? I read about your patient who had stem cells treatment for ataxia in Thailand last year, but have not known how she is doing now. Someone please contact me. I have my recent report from doctor in UK.